‘Paper Boy’ movie teaser was released. Movie unit released it in social media. 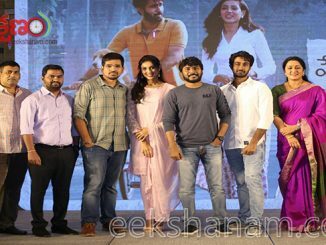 The movie was made by Sampath nandi team works banner. This is the second movie from the banner. Sampath nandi who had made films with stars like ram charan, raviteja, gopichand had himself contributed with story and screenplay for this movie. Jaya shankar is being introduced as director for this movie. Hero’s role as paper boy was played by Santosh Sivan and Riya Suman, tanya hope are heroines. Audio and movie’s release date will be announce soon. 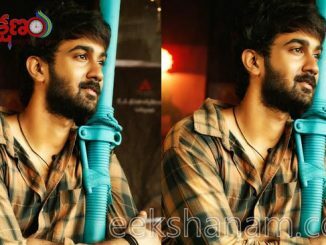 Hero in the movie who works as a paper boy is a Btech graduate. 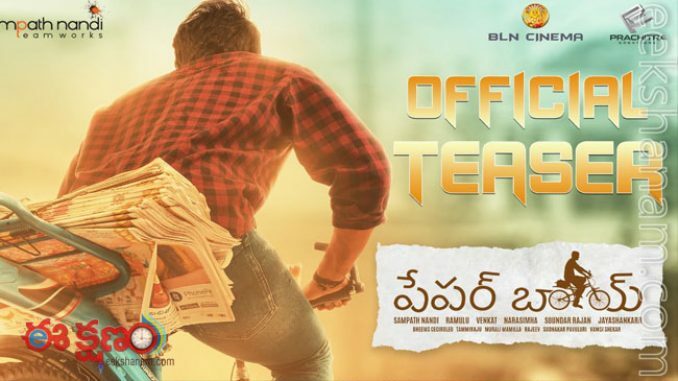 In the teaser heroine asks hero that though he did Btech why he is doing a paper boy work..